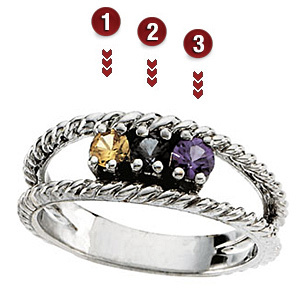 The sterling silver Twisted Rope mother's ring features three genuine 3mm round gemstones of your choice. Split shank features a rope texture. Import.